The white cliffs of Etretat, Upper Normandy. 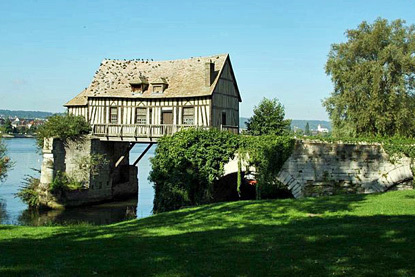 Upper Normandy (Haute-Normandie in French) was created in 1984 from the split of Normandy into two administrative regions, a political decision that is still contested to this day. With an area of merely 12,317 km2 (4,756 sq mi), hardly more than Qatar, it is the smallest region on continental France after Alsace and Île-de-France. Normandy was invaded and settled by Danish Vikings in the late 9th century. Sailing up the Seine, raiding the countryside, then besieging Paris in 911, the Vikings were eventually granted the land of Normandy by the King of France, with Rollo as first Count of Rouen. His descendants were the Dukes of Normandy (from 996), who would conquer England in 1066. The title is still officially carried by the British monarch today. Rouen, the largest city in Normandy, has retained a lot of its medieval charm, with its sumptuous cathedral and timber-framed houses. It is here that Joan of Arc was burned at the stake in 1431. The 130 km Côte d'Albâtre (Alabaster Coast), running between the ports of Le Havre and Dieppe, is famous for its spectacular white limestone cliffs, mirroring those of southern England across the Channel. 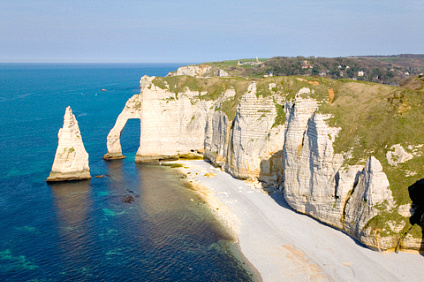 The most popular are the three natural arches and the and the pointed "needle" at Étretat. Fans of Claude Monet come by bus-loads to the tiny village of Giverny, halfway between Rouen and Paris, where the painter lived from 1883 until his death in 1926. The main attraction is the water-lily pond, with its Japanese bridge, that feature in many of his works. Famous people from Upper Normandy include (chronologically): the dramatist Pierre Corneille, the North American explorer Robert-René de La Salle, the writers Gustave Flaubert and Guy de Maupassant, the Nobel-prize-winning physicist Louis de Broglie, the actor Bourvil, President François Hollande, the TV presenter Laurent Ruquier, the judoka David Douillet, the actress Valérie Lemercier, and the model and actress Lætitia Casta. A pleasant little town with half-timbered houses, Vernon was also an aristocratic surname at the time of the Norman conquest that gave its name to a dozen places in the USA. 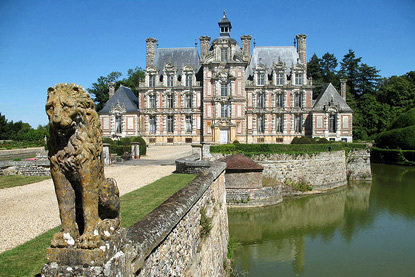 Beaumesnil is an admirable Renaissance castle from the Louis XIII era set in an 80 ha park. The interior has maintained most of the original furnishings from the 17th and 18th centuries. 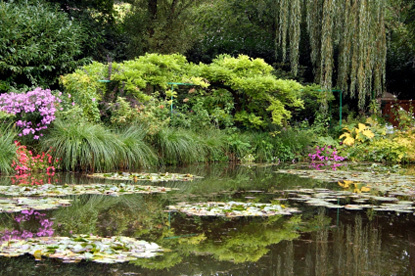 Giverny was the home of impressionist painter Claude Monet for 43 years. His house, left in its original state, and the adjoining water-lily garden are extremely popular. 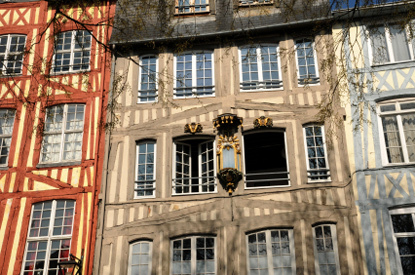 Rouen is the historic capital city of Normandy. Once one of the largest and most prosperous cities of medieval Europe, it is famous for its Gothic cathedral and its timber-framed houses.